This will be my fourth Wep Ronpet celebrated, my third as a member of Kemetic Orthodoxy, and my second as a Shemsu-Ankh. These thoughts, coupled with the fact that my boyfriend has been showing a strong interest in Kemetic gods and Kemetic Orthodoxy, has had me thinking long and hard about my path to Kemetic Orthodoxy and my decisions along this path. 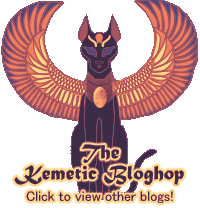 I first heard about Kemetic Orthodoxy on a generic pagan forum, as a 15-year-old. I lightly looked into it, but dismissed it for a variety of reasons – the main one being that I felt strange worshipping Egyptian deities as a young girl with German-Irish heritage. I thus desperately ignored every hint or clue I was given that Kemet was where I belonged spiritually. It was not until two years later, at age 17, standing outside on the beach at night with a friend, that I felt an overwhelming call. It was strong, it was powerful, and it settled deep inside of me, a slow ache that overtook all my sensibility. Who was it? What was it? I knew only that it was a strong, female deity. I spent some time mistakenly praying to Venus, until one day I was idly searching for deities of healing. My chosen profession is in the field of psychology, and I wanted the guidance of an appropriate deity as I started my college career. The name Sekhmet stood out among all the others, but I still felt the same uneasiness. After reflection, I had a peculiar dream – Sekhmet and Yinepu (Anubis) standing in the dark, laughing idly at me, joking about Egypt being scary, and reassuring me that it’d be okay for me to follow Them. And so began a wild ride. I’ve made choices I regret, to be sure – I regret being so obsessed with purity, for one. I’ve recently reworked my shrine so that I can keep up my offerings, heka and worship when I am not in a state of ritual purity. I don’t claim to be the wisest Follower in Their retinue – but I love Them, very very much. I have learned many things, most of them completely wordless gifts from my gods. Over the last three years, I have waffled between hard polytheism, soft polytheism, and everything in between – now I just sit comfortably at “God is God, and if It wants me to believe any differently, It will tell me.” I have learned that heka is everywhere and everything – rituals and ceremonies have their place, but words and deeds have power, and personal symbols can often effect more change in the Seen world than any old ritual pulled from a dusty book. I have learned to listen to my ka, speaking in a quiet voice. I have learned to interpret the quiet whispers of the Gods, hissing through the daily agenda. I have learned to live with my Gods – to turn my faith into something that winds through every breath I take. I spent much of my first year learning – much as a child would, giddily showing off my Parents and Beloveds, my shiny new Shemsu name, taking in the newness of this love I felt. I believed I was uniquely blessed, to be Sobeq, to be the child of Wepwawet and Sekhmet-Mut, and I wanted to talk to anyone and everyone who could talk about MY Gods. There was distinctly a focus on building a relationship with Them. My second year was spent building a place for myself in the community – a place of service and friendship – fostering a love of those around me, and a desire to serve them more deeply. This culminated in the Weshem-ib. 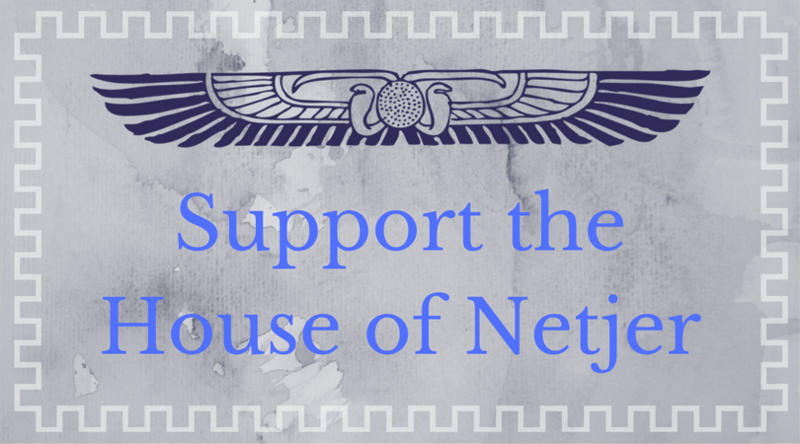 Now, in my third year, I am weaving these things into the tapestry of my life – living fully in service to my Parents, to my community, both spiritual and mundane, and my Nisut (AUS). My fourth Kemetic year as a child of these Gods – we shall see what it shall bring. Four is a very blessed number in Kemetic numerology – it is perfection. Of course, I will still be learning. Always learning. But it is a joyous path home. Next Post New Year, New Start.